The STEM Parent Conference will have 5 main areas of interest: Workshops, Expert Panel Discussion, Marketplace/ Exhibits, Creative Corner and Kidz Zone Child-minding. Here is a list of the Expert Panelists. 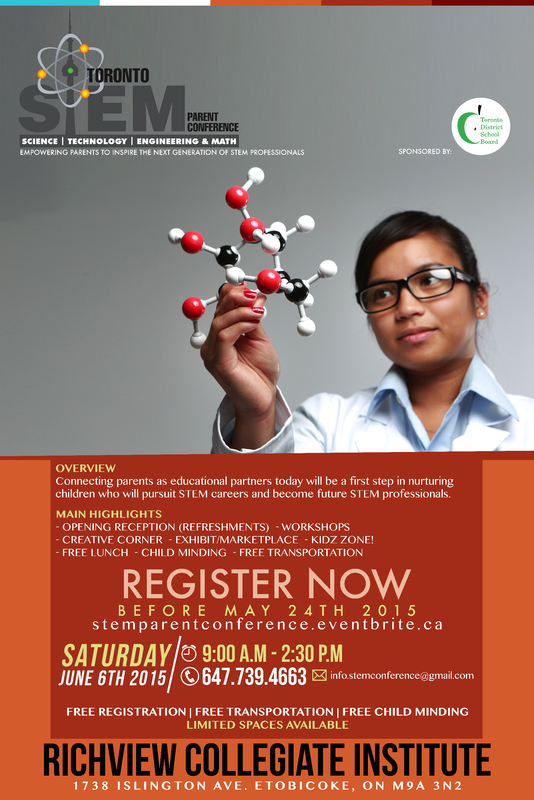 If you wish more information please do not hesitate to call us at 647-739-4663 or email us at info.stemconference@gmail.com. Thank you so much for your kind consideration and for your support of this initiative.